This is undoubtedly true. It used to be much worse 30 years ago. Bullying and discrimination were endemic in the past. Three in ten trainee doctors have experienced bullying, according to a survey by the Irish Medical Council. The survey, which is the first of its kind, found that the experience of being bullied, observing others being bullied, or of undermining behaviour from a senior doctor, is endemic among trainee doctors. It found that three in ten trainees reported personal experience of such behaviour, twice as much as the prevalence for their UK counterparts. The experience was greater among younger trainees and interns. The survey also found that 30% of medical trainees were not given an explanation of their role and responsibilities. Concern was expressed that while trainees generally identified their individual consultant or GP as a positive role model, they were less positive about professional relations between consultants. Over 3,000 trainees were invited to respond and 53%, or over 1,600 replied. Minister for Health Leo Varadkar said the survey was very encouraging in terms of the quality of care and teamwork experienced by trainee doctors. The survey is to be conducted each year. This week, Unicef published the most comprehensive study of the effects of the financial crisis on children in the OECD. The statistics are stark. Unicef’s report, Children of the Recession, shows that in the last five years, Irish families with children have lost the equivalent of 10 years of income progress. Out of 41 OECD countries, Ireland is ranked 37th out of 41 countries on relative increases in child poverty. 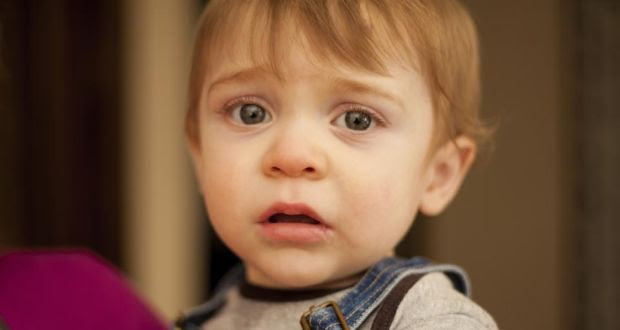 In real terms, there are 130,000 more poor children in Ireland than there were five years ago. Six years after the global financial and economic crisis, a generation of children and young people are growing up in a new Ireland where their opportunities have been set back considerably by the recession. Poverty is always a tragedy, but child poverty is especially devastating. Children living in poverty are more likely to become impoverished adults and have poor children, creating and sustaining intergenerational cycles of poverty. Society pays a high price for child poverty, including reduced productivity, lower social cohesion and the costs of responding to chronic poverty. It is impossible to measure the untapped potential of a poor child. Protecting one’s childhood is essential both for the well-being of those who are children today and for the well-being of the societies of tomorrow. Unicef’s report clearly demonstrates that policy choices, and not just prevailing economic circumstances, contribute to child poverty across the OECD. In 18 countries surveyed, child poverty has decreased, sometimes markedly. Poland, for example, has reduced child poverty by a remarkable 30 per cent between 2008 and 2012. While child poverty in Ireland has increased by 10.6 per cent during this period, it increased only 2.5 per cent among older people. In 28 out of 31 OECD countries, the child poverty rate has increased more rapidly (or decreased more slowly) for children than for older people. It’s clear that when social protection measures are put in place to safeguard a vulnerable group, they have been effective. There are also concerns for older children and young people. The report shows that 16.1 per cent of young people in Ireland aged 15 to 24 are not in education, employment or training, which is higher than many other OECD countries. This is an effective measure of social exclusion, highlighting those who have not made a successful transition from school to work. Being outside work or training has considerable long-term consequences, both for the young person individually and for the broader society. When asked about their experiences of the recession, people in Ireland reported not surprisingly that their standard of wellbeing had decreased since 2008. People report higher levels of stress, increased struggles in providing food for their families and a lower satisfaction with life. The quality and quantity of time that parents spend with their children is affected by lower incomes and contextual stress. This can have an adverse effect on family relationships and affect children during critical periods of intellectual and emotional development. Tellingly, fewer people than in previous Unicef reports agreed that Ireland is a country where children have the opportunity to learn and grow every day. This Government can be proud of the steps to strengthen children’s rights and also in relation to child protection. Unicef strongly supported the enshrining of children’s rights into the Constitution. The Government can be commended for setting a child poverty target in the National Policy Framework for Children and Young People and for adopting a cross-departmental approach to achieving this goal. This target now requires an implementation plan with clear objectives, actions and agreed timelines. Six years into the recession, the impact on children and families is evident. It may be years before many households get back to prerecession levels of well-being and income. Unicef recommends that Ireland should consider drawing “red lines” – indicators of child poverty and well-being – that, if crossed, would automatically trigger public intervention. Unicef recommends that children’s rights impact assessments be adopted to protect children’s interests on budgetary matters. Protecting children is about more than increasing child benefit, important though that is. Unicef-supported research demonstrates clearly that what’s good for families is good for children. Furthermore, a preventative focus on vulnerable children should be adopted, including migrant children, children with disabilities and the children of lone parents. Ireland is among the youngest nations in Europe, with 25 per cent of our population being under 18. This is a significant competitive advantage for Ireland Inc. We must protect this national asset. Our children and young people are our most precious resource on Ireland’s road to recovery. We need to continue promoting a culture of listening to children and young people to ensure that we design policy that listens to their unique needs. They need to be meaningfully included in the decisions that affect them. By investing in children, we can enable them to reach their full potential. Fifty years from now, we will look back at this period as a critical juncture in history. The global financial crisis may be remembered for the generation of vulnerable children it left behind, or as a critical opportunity to build a more inclusive and equitable society. Regional Hospital in Portlaoise declined to come to the aid of a patient who had collapsed in the hospital because they were not on call at the time, an inquest has heard. Diabetes nurse Breda McEvoy said she was going on a late lunch on June 7th, 2011, when the patient, Christopher Marianayagam (71), collapsed near the front door of the hospital. Mr Marianayagam had been taken to the hospital by ambulance earlier in the day after feeling unwell at home and had just been discharged from the emergency department. Ms McEvoy said she got no response and so asked the question again. The two doctors told her they were not on call and did not provide assistance. She ran back to the patient and found he was receiving medical attention from other staff and was being transported to the emergency department. Roger Murray, solicitor, for Mr Marianayagam’s family, said Ms McEvoy was so concerned assistance was not forthcoming that she had completed an incident report form. This stated that “two female medical doctors called from diningroom to assist patient. Advised they were not on call and did not leave table in diningroom”. Ms McEvoy said it was policy to complete such a form where a slip or fall occurred. Mr Murray applauded Ms McEvoy for her “courage and honesty” in filling out the form and said this was the only way things could be improved. Asked if she had received any feedback on the form since, Ms McEvoy said she had not. As his condition deteriorated, the family, who are Catholic, prayed at his bedside. This is recorded in hospital notes, which read “daughter present, patient reciting religious verses and prayers”. Mr Marianayagam’s GP, Dr John White, said his patient had a history of falls requiring attendance at the hospital. He lived alone but wanted to be with his family. He said it was very unusual for someone to want to move back to the direct provision centre at the Montague Hotel but he wanted to be with his family. Public hospitals have been told by the Department of Health that they must levy official charges of between €300 and €400 a day on private patients even if they are treated on a trolley or in a therapy chair. In a memo to hospital managers in recent days the Health Service Executive said it had been advised by the Department of Health that, under legislation, a charge must be made for all inpatient services. While it is not specifically stated in the memo, the department said last night that the charges would not apply to patients on trolleys in emergency departments but would apply to those who were on trolleys in other parts of a hospital. The department told the HSE, following advice from the Attorney General, that it was not material to the charge what bed, chair or other piece of equipment or ward was used by the private patient in a public hospital. The HSE memo said some insurers had been refusing to pay for subscribers treated as day cases in public hospitals unless they were treated in a bed. The HSE said the Department of Health had made clear that all private day case inpatient services “are to be charged for whether provided on a bed or on equipment other than a bed such as a therapy chair, recliner or trolley”. Hospital chief executives were told that the department had made clear they had to charge all private patients for all inpatient services regardless of whether the admission was an emergency or on an elective basis, whether they were admitted to a designated private bed or beds in intensive care or coronary care units, whether they were treated in a ward or elsewhere and whether they were treated on a bed or on other equipment such as a therapy chair, recliner or trolley. The memo indicated that where hospitals had not been levying such charges, they should do so now, backdated to the beginning of the year. Under legislation that came into force in January, hospitals were permitted to charge for all private patients admitted to public hospitals. Previously, insurers paid only for subscribers who occupied the 20 per cent of beds that were designated for fee-paying patients. 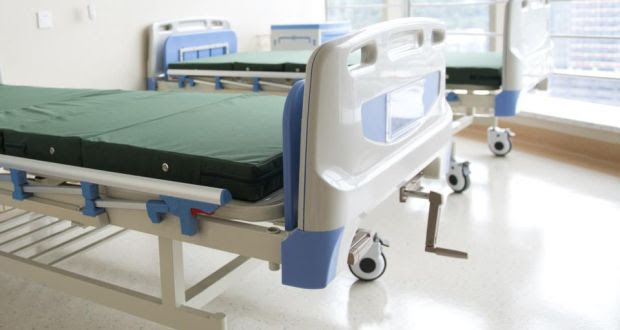 The Comptroller and Auditor General estimated in 2010 that 45 per cent of private inpatients were not charged for maintenance because they were not in designated beds. The department said “best clinical practice for chemotherapy or dialysis patients is to treat them in a seated or reclining position”. It said trolleys were routinely used in day surgery procedures such as colonoscopy.Meanwhile the Government is not expected to not toincrease the existing prescribption ingcharge rateof €2.50 per item or raise the hospital in-patient or emergency department charges in the Budget today. There is also expected to be no change to the current thresholds for medical card eligibility. I have seen lots of interpersonal aggro amungst medics in hospitals over my career. It impacts on patient care and is to be avoided. It is sadly very believeable that there is no “three wise men” arrangement in our hospitals to head off, contain problems and resolve problems. I have been at the receiving end of some very poor decision making in hospitals in this regard. Standing for what is right has its downsides. The 2008 command and control consultants contract must be binned. CEOs have too much unaccountable power in hospitals and are usually subject to weak management boards. The gagging clauses are effective as it is obvious that many doctors are scared to intervene for fear of sanction. There are enough Quisling Medics to satisfy the administrators’ wishes. Secrecy and gagging are inimical to professionalism. The public pay for this stuff in settled court cases with gagging clauses which mean that lots happen under the radar. I will write another book on all this when I can make time. Aims The causes of intellectual disability, which affects 1%–3% of the general population, are highly heterogeneous and the genetic defect remains unknown in around 40% of patients. The application of next-generation sequencing is changing the nature of biomedical diagnosis. This technology has quickly become the method of choice for searching for pathogenic mutations in rare uncharacterised genetic diseases. Methods Whole-exome sequencing was applied to a series of families affected with intellectual disability in order to identify variants underlying disease phenotypes. Results We present data of three families in which we identified the disease-causing mutations and which benefited from receiving a clinical diagnosis: Cornelia de Lange, Cohen syndrome and Dent-2 disease. The genetic heterogeneity and the variability in clinical presentation of these disorders could explain why these patients are difficult to diagnose. Conclusions The accessibility to next-generation sequencing allows clinicians to save much time and cost in identifying the aetiology of rare diseases. The presented cases are excellent examples that demonstrate the efficacy of next-generation sequencing in rare disease diagnosis. I agree that all blood tests should be followed up by the orderer and that the lab should communicate critical results. 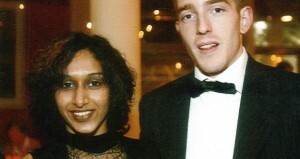 These have been my policies always. .
An undated picture of Dhara Kivlehan and her husband Michael. An expert witness has told the inquest into Dhara Kivlehan’s death that a delay in getting specialist renal and liver care for her was one of a number of material contributors to her death. 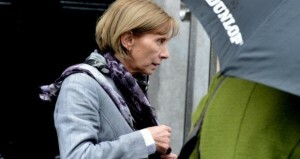 A verdict in the inquest is expected at the Coroner’s Court in Carrick-on-Shannon, Co Leitrim, today. Dr Peter Boylan said it was clear to him there were deficiencies in both Ms Kivlehan’s clinical care and at systemic level, which were “material contributors” to her death. Ms Kivlehan (29), died of multi-organ failure due to HELLP syndrome, a severe form of pre-eclampsia, in Belfast’s Royal Victoria Hospital on September 28th, 2010. She had been airlifted from Sligo Regional Hospital four days earlier. Among the deficits in clinical care which the consultant obstetrician highlighted in the case were the attribution by staff at Sligo Regional Hospital of all her problems to HELLP syndrome . He told the jury she should have been referred to both a liver and renal consultant earlier. The former master of the National Maternity Hospital said that failure to seriously consider the possibility of intra-abdominal haemorrhage in the post-operative period and delay in transfer to a tertiary centre – ideally St Vincent’s University Hospital Dublin – were also factors. The system failures which Dr Boylan highlighted were the lack of prompt availability of specialist renal and liver input at Sligo Regional Hospital . Another factor was the lack of intensive care beds at tertiary hospitals in Dublin and Galway. Dr Boylan added that the lack of continuity of care at consultant level due to an insufficient number of obstetric consultants on staff at the Sligo hospital were also factors. He stressed Ms Kivlehan had presented in a most unusual way with both severe liver and renal failure. Dr Boylan said if she had been transferred to a tertiary centre in Dublin or Galway it might have made a difference, “but it is hard to say”. He said it was an “error of judgment” that one Sligo-based consultant had queried whether her swollen abdomen was due to internal bleeding, but that this was not investigated further. The consultant agreed with Damien Tansey, solicitor for the Kivlehan family, that a delay in acting on blood results taken when Ms Kivlehan was admitted to the hospital on September 20th was “certainly a deficiency in care”. The inquest has heard the results were not accessed for 12 hours. Mr Boylan said he was not trying to excuse in any way the lack of keenness to source results, but wanted to explain what happened in terms of everyday life in a hospital. Mr Tansey put it to the expert that if the blood tests had been acted on quickly, Ms Kivlehan might have had an emergency caesarean section 12 hours earlier, and then staff could have focused on her liver and kidney problems. Dr Boylan pointed out that she showed sign s of “clonus” after being admitted, which staff interpreted as possible onset of seizures related to pre-eclampsia – but in fact this was more likely to have been linked to liver failure. He said staff were presented with “a very complex situation”. Dr Boylan said Ms Kivlehan suffered a significant intra-abdominal bleed after her emergency caesarean section. Her abdominal swelling was mistakenly attributed to ascites (fluid in the abdomen) , probably in association with her liver failure. He said Ms Kivlehan presented a very “difficult management problem”, but there was undoubtedly a misinterpretation of her abdominal distension which was incorrectly not attributed to abdominal bleeding. “It is debatable, however, whether or not earlier intervention to deal with this problem would have made a significant difference in the long-term, given the extremely complicated nature of her presentation,” he added. Dhara Kivlehan’s death was due to medical misadventure a jury has found following a five-day inquest. The jury recommended that all blood tests be followed up by the doctor who ordered them and that any critical issues be flagged by laboratory staff. After just under an hour deliberating, the jury of five men and two women also recommended that, without delay, a database of all available critical care beds be made known to all hospitals, regional and national. Referring to his experience of some staff in Sligo, he said medics should improve their bedside manner. Speaking after the verdict, Coroner Eamon MacGowan wished the Kivlehan family peace, tranquillity and contentment. “Michael has vindicated Dhara’s life and explained it through his campaign to have this inquest heard. I am sorry it has taken four years to do so,” said Mr MacGowan. Poignantly, the 35-year-old Mr Kivlehan was carrying a montage of photographs of Dhara yesterday, including one of the couple with their newborn son taken in Sligo hospital. While Sunday was the fourth anniversary of Dhara’s death, he said Tuesday was the real anniversary as far as he was concerned. “Tuesday was the day they switched off the machine,” he said. His solicitor Damien Tansey said it had been a David and Goliath battle. Earlier, Mr Tansey told the inquest that Mr Kivlehan had been overjoyed when she became pregnant. He said the couple had been in the first flush of their courtship when Michael had a near-death experience following a road traffic accident and he had been in hospital in London for several months with kidney failure. “And who was the constant support at his side?. Dhara was. She never left his side”, the solicitor added. He said that Dhara’s pregnancy was normal until close to the end, but when she was admitted to hospital on September 20th, 2010 – eight days before her death – her legs were swollen from the knees down. Staff treated her case as pre-eclampsia, blood tests were done, but for some reason “that has still not been explained” the results were not processed for 12 hours. The inquest heard that one of the recommendations of a HSE review carried out after Mrs Kivlehan’s death was that a database of available ICU beds be compiled for the benefit of all hospitals nationwide. Mr Tansey said that, four years on, this has not been done.